Chicago customers will find a variety of Versatile Recreational Vehicles (VRV) at local RV dealer Phillips RV Sales! Livin Lite VRV toy haulers are made 100% out of aluminum, which gives them an edge over other manufacturers. By using aluminum you never have to worry about rust! When they say 100% aluminum, they mean it. You won't find another type of metal used throughout the entire VRV. 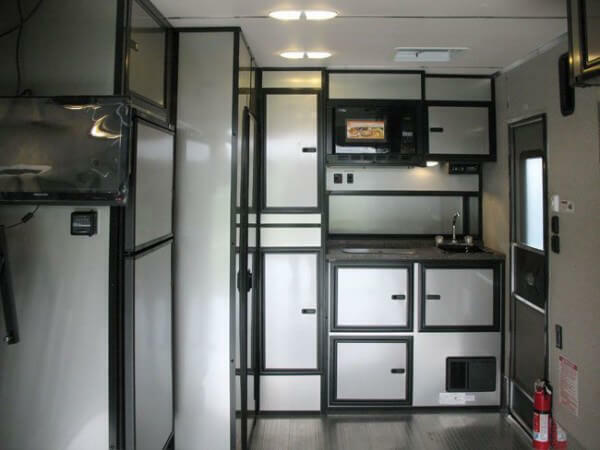 Illinois RV customers get a host of unique features on Livin Lite VRV models. There are many different sizes to choose from: 6x15, 7x20, 8.5x20, 8.5x24, 8.5x30, and 8.5x32. VRV models can be built with living quarters, or simply be used to transport ATV or Utility Vehicles. This also makes VRV models unique, you can decide years after your purchase to change the layout! 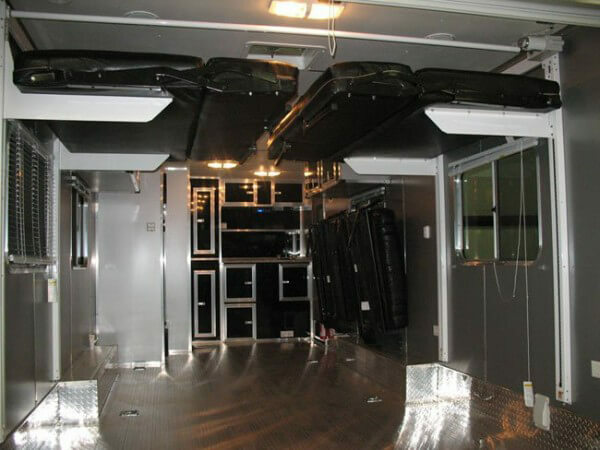 Some features that make Livin Lite VRV models stand out include lightweight materials, 12V power vent in ceiling, upgraded side vents, a 77" ramp door opening and a spring balanced ramp door. The available living quarters feature a full array of aluminum cabinetry, including kitchenette with base and overhead storage; a pantry; and a closet inside the bathroom. Walking room is ample with 6 feet to 7 feet of interior headroom. Models also come with a comfortable, easily removable and washable mattress on the bed. Both 12V and 110V electrical outlets provide convenient access to electric components such as heaters, lights, fans and more. When applicable to your model, a hand-pump sink faucet gives you immediate access to fresh water. An 8-gallon water tank is included. Because you get a VRV to travel, Livin Lite provides you with durable protective covers that allow you to protect the bunks and mattresses from the vehicles or other items you store inside. 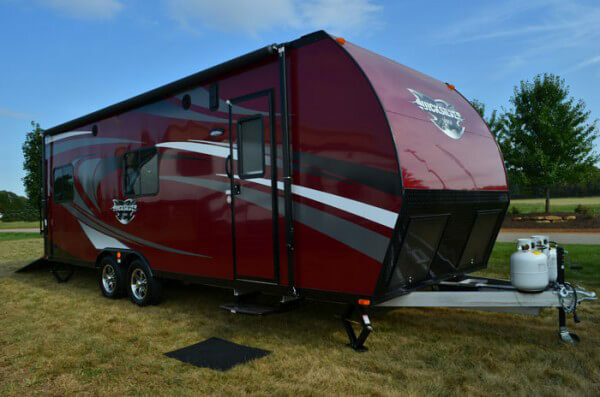 Talk with our Chicago RV dealership about installing a Porta-Potty room and closet! This feature gives you the ultimate comfort, wherever you go. The beauty of purchasing a Livin Lite VRV from our IN area RV dealership is that we can help you customize your model. Livin Lite has so many options that you can really do whatever you want with to their VRV models. Is there anything better than a custom-made RV? We invite Chicago and IN shoppers to take a look at what Livin Lite VRV models have to offer by stopping by Phillips RV Sales today. We will get you inside and answer all of your questions. We understand that purchasing an RV is a large investment. Let our experts guide you through the purchasing process so you can figure out if a VRV is right for you. Contact one of the most popular Illinois RV dealers by calling 815-933-225. We have tons of models in stock and look forward to help you with a VRV purchase today!